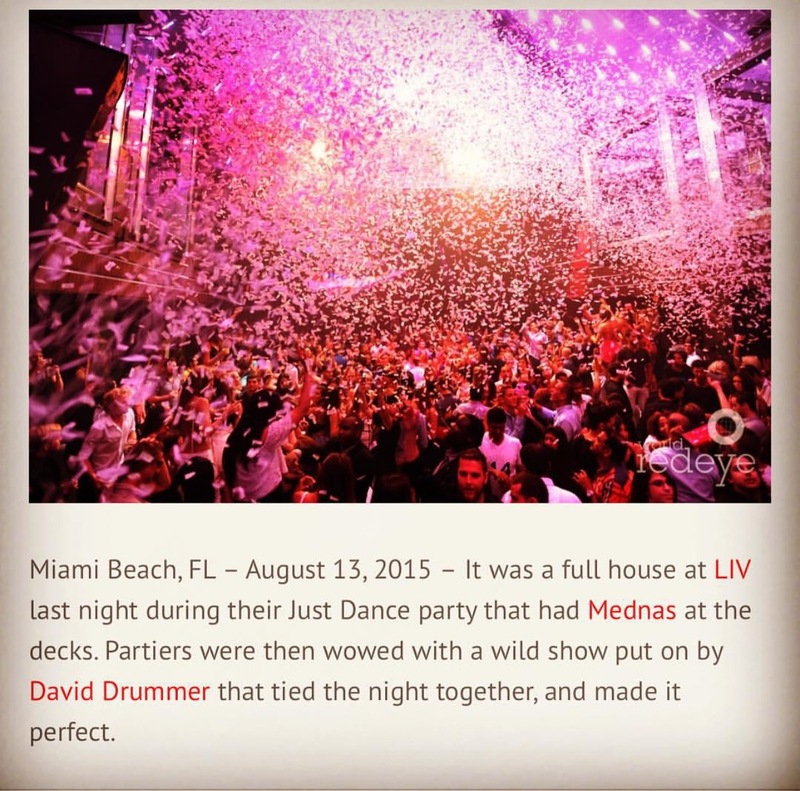 On Thursday August 13th I had the opportunity to perform at LIV! They finally got to experience what the DRUM EVOLUTION is all about. And let me tell you it was a great night. I personally know most of the VIP hosts, Bouncers and staff here in Miami’s Nightlife scene and the feedback i got from them was nothing short of amazing. It felt good to have the entertainment director like my performance specially since i took my LED Drums and LED Helmet. Over all the night was a success and of course gotta give Dj Mednas the credit for providing some great tunes for me to jam too. Good news is i’m currently working in setting up some dates for more performances with them so i’ll keep you guys posted on this. Cheers!